Like every industry domain witnesses an all time high in the sale of its products and services, there is a similar case applicable to the industry of real estate as well. There are various festivals that are associated with the marketing and promotional activities of the real estate brands. Right from coming up with the various discount offers and the marketing and promotional activities that are path breaking and novel in the ideation to launching the projects or giving the possession of the project on the auspicious occasions such as Dusshera and Gudi Padwa; developers work on their yearly calendars much in advance to tap their target market in the best possible way. 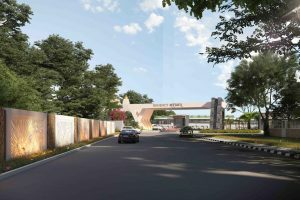 In continuation to the above mentioned discussion, the Dusshera festive of the year 2018 witnessed the launch of Regency’s Upcoming Project in Dombivali and must say, the launch was much hyped and created quite an amount of buzz in the overall industry along with the communities of homebuyers and investors as it was coming from the house of Regency Group, the brand that has made a distinctive identity for itself in the market owing to the projects that are affordable yet high on the fundaments of quality workmanship and internal amenities, specifications to the external facilities that are top class in fashion and order. The group has been around for more than 17 years now and with the news of Regency’s New Launch in Dombivli made the homebuyers eagerly wait for the launch making the other developers run for their money. The launch itself witnessed a tremendous response and still the project is one of the most sought after projects in the area of Dombivali east near station. Visit their project site to experience the sheer luxury of realty.